After a long wait for the official price of Tecno Camon C9 to be released by Tecno Mobile, am here to present to you what Tecno said the price will be. Although the phone is currently been sold in some top online stores like Konga for about N54,000 but Tecno just released the official recommended price of N49, 900. You can recall that Tecno Camon C9 is the latest phone from Tecno and the first ever smartphone from the Chinese company to feature an Iris Scanner. 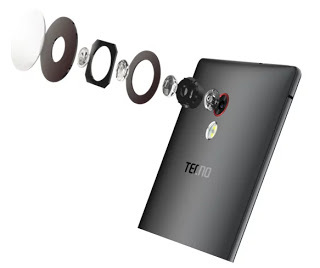 The phone also comes with 4G LTE, fingerprints, and latest Tecno T-Band is included in the pack.